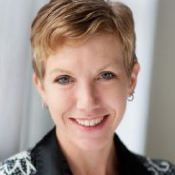 Appointed the Executive Director of Illinois Philharmonic Orchestra in January 2017, Ms. Salerno joined the symphonic world having spent seven years as Executive Director of Salt Creek Ballet (SCB). While at SCB, Ms. Salerno led a campaign to build all new sets and costumes for the company’s annual production of The Nutcracker and successfully brought live orchestral accompaniment back to the production. Her passion for increasing the visibility and capacity of arts organizations has led her to lead initiatives aimed at increasing contributed and earned revenue levels, developing board capacity, and building innovative community engagement programming. Ms. Salerno holds a Masters of Performing Arts Administration degree from Roosevelt University’s Chicago College of Performing Arts and a Bachelor of Arts degree with a concentration in Nonprofit Administration from Skidmore College. She has appeared as a guest lecturer for Loyola University’s Dance Department and currently sits on the Advisory Board of Arts DuPage and the Board of Homewood Arts Council. Prior to moving to the management side of arts organizations, Ms. Salerno enjoyed a 15-year professional ballet career as a soloist with Boston Ballet, Zurich Ballet and The Royal Ballet in London.